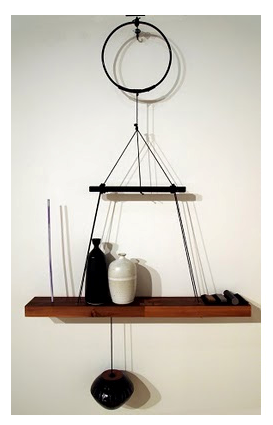 This shelf is an art exhibit by Ian McDonald and we are really inspired by how simplistic, functional and beautiful it is. What looks like a mish mash of odd bits, really just comes alive when put together. It makes us want to reclaim old bits of storage and recreate something like this. 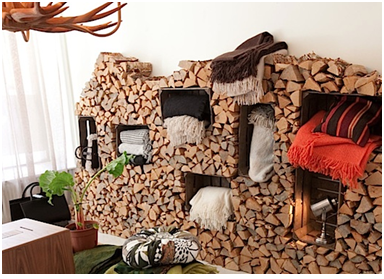 Gone are the days when you need to store firewood in the basement and lug them up the stairs on cold winter days. You can now place firewood in your living room and jam wooden crates randomly between the wood. We’re big fans of firewood! Pipes can be beautiful too! Pipes are ugly no longer. Gone are the days when designers would hide pipes behind walls or ceilings. Using pipes in design can be classy and fun. 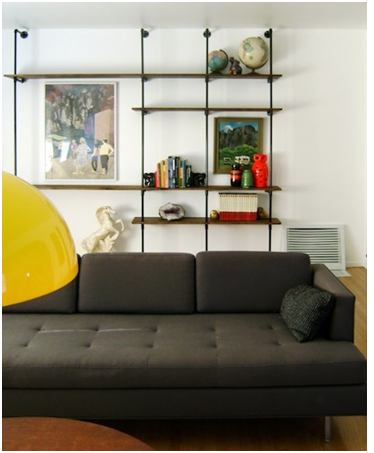 Look at this beautiful shelf created with a frame made of pipe. It creates the required symmetry in the room and gives it a wonderful artsy feel. Bring a slice of the wild in your home by suspending a big strong piece of wood from your ceiling and using it as a clothes rack. 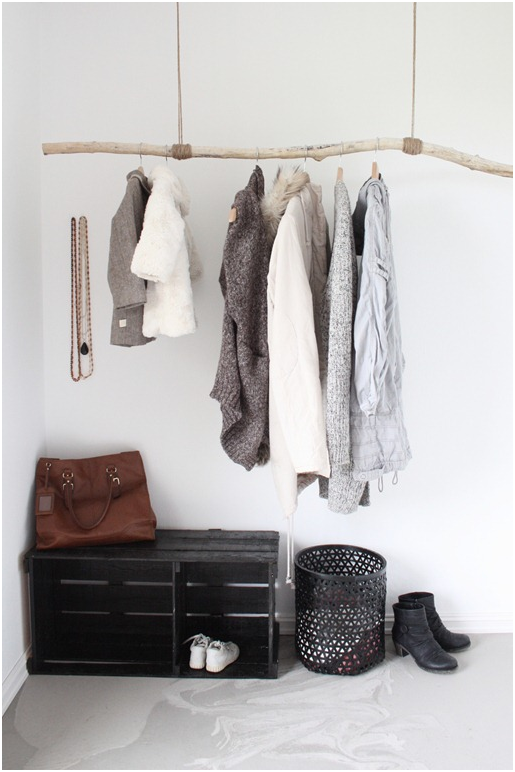 This beautiful and minimalistic rack is also a great way of showing off your designer coats and fur. 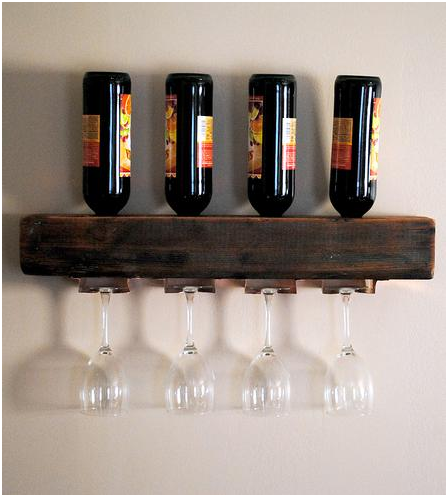 This sturdy wine rack not only holds your wine bottles but also the pretty wine glasses. This rack will allow you to display your wines with pride in your living room.